I’m not so good with polished nails. I always get chips at the tips of my nails in less than 24 hours after applying my nail polish. I’m also extremely impatient, so I usually don’t take the time to let my nails fully dry, ending up with minor damage. So I went experimenting to find a way to enjoy my manicures just a bit longer. And now, 4 days later my nails are still chip free! So I call it a successful experiment. Nails with a little length. French manicure stickers. Don’t worry I absolutely hate french manicures, but I use these as a handy way to perfectly apply the polish. A striking color nail polish. Use the nail file to shape all nails at the same length. 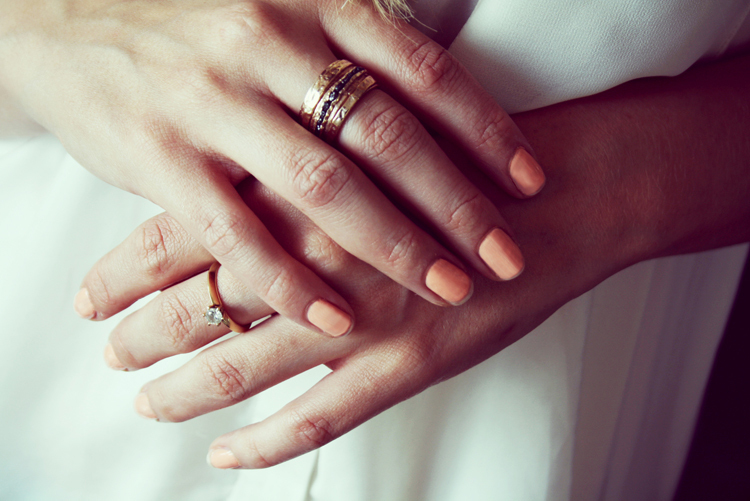 Before you apply the polish, make sure your nails are lotion and oil free. Put the manicure stickers on the ends of the nails, covering about 3 mm from the tip. (This depends on your nail length.) Make sure to press down the stickers firmly so the nail polish can’t go underneath them. 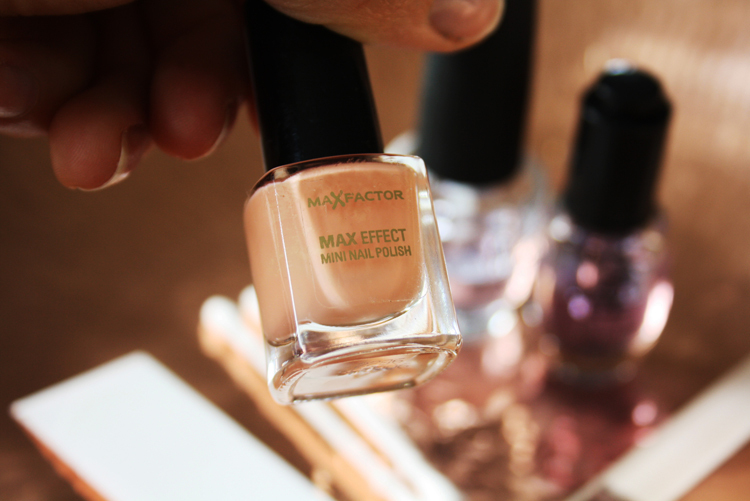 Start with applying a good basecoat until the edge of the sticker, so about 90% of your nail is covered. Then apply two coats of the desired color. 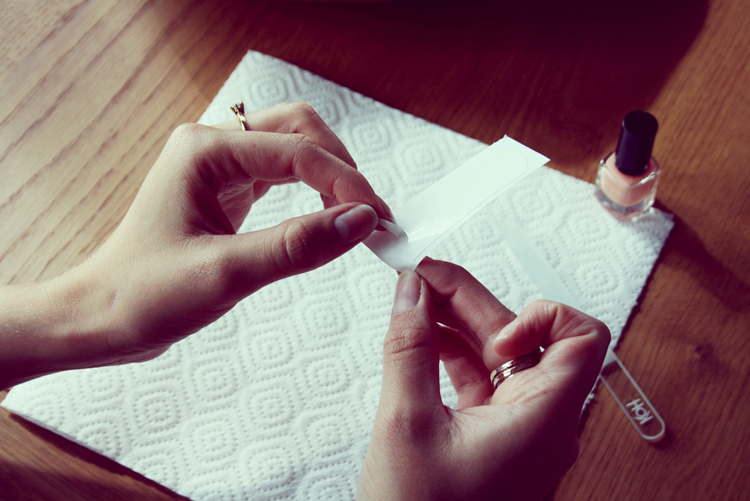 Note: Allow the lacquer to dry at least 5 minutes before you apply a new layer. 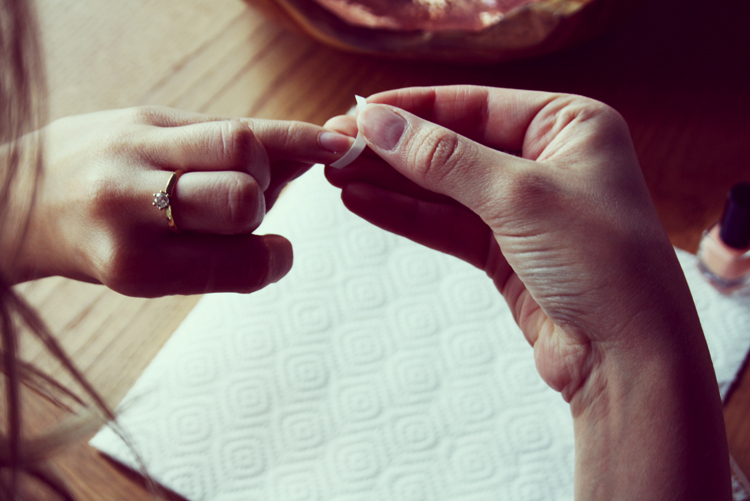 Next, remove the stickers carefully from your nails and finish with a topcoat. 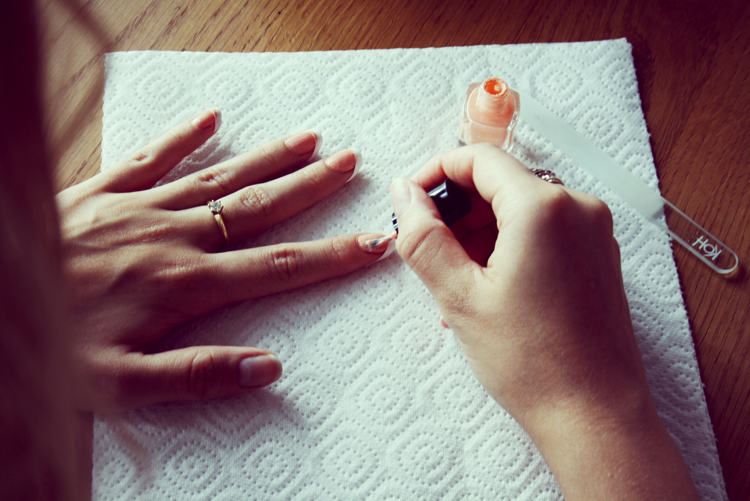 Use dry drops to let the nail polish dry just a bit quicker. Now that the nail polish isn’t only applied until the edges of the nail, it won’t start chipping and so it helps extending the wear of your manicure. I find it a very cool look. P.s. 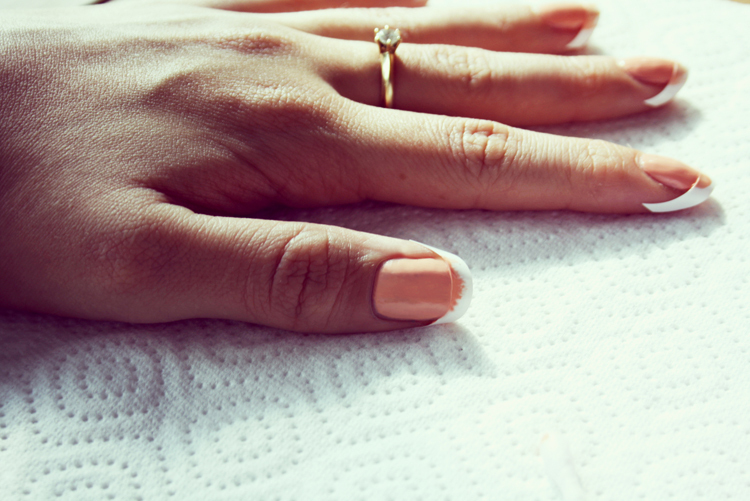 Of course you have to make sure that your nails are clean underneath, so I suggest to gently brush them clean daily. Posted in JewelryTagged Nailpolish, The 90 % polishBookmark the permalink.